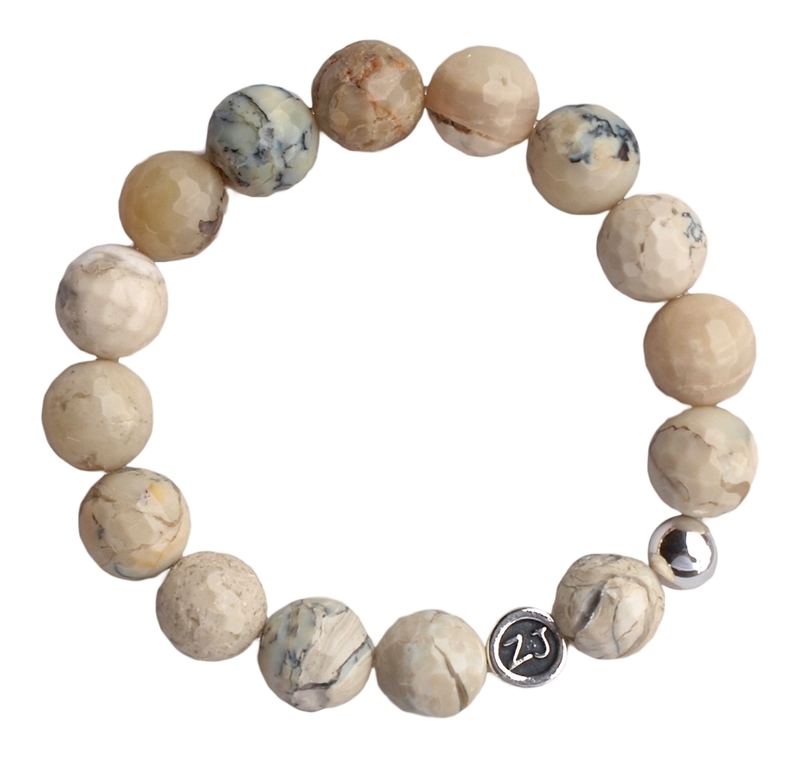 Let your guard dow and access your true self with the help of our rustic Opal bracelet. Read about our handmade Opal healing crystal bracelet below to see if you connect with this crystal. A delicate stone with a fine vibration. Associated with love, passion, desire and eroticism. Aids in accessing and expressing one's true self. Enhances self-worth. Opal is a delicate gemstone with a fine vibration. It enhances cosmic consciousness and induces psychic and mystical visions. Stimulating originality and dynamic creativity, it aids in accessing and expressing one's true self. Opal is absorbent and reflective. It picks up thoughts and feelings, amplifies them, and returns them to source. It is a karmic crystal, teaching that what you put out comes back. Opal is a protective crystal in that, when properly programmed, it makes you unnoticeable or invisible. It can be used when venturing into dangerous places and in shamanic work where stealth is required. Psychologically, Opal amplifies traits and brings characteristics to the surface for transformation. Enhancing self-worth, it helps you to understand your full potential. Mentally, Opal brings lightness and spontaneity. It encourages an interest in the arts. Emotionally, Opal has always been associated with love and passion, desire and eroticism. It is a seductive crystal that intensifies emotional states and releases inhibitions. It can act as an emotional stabilizer, but the stone may scatter energy and the user needs to be well-centered before using Opal to explore or induce feelings, or to have other crystals standing by to aid integration. Opal shows you what your emotional state has been in the past, especially in other lives, and teaches how to take responsibility for how you feel. It encourages putting out positive emotions. Wearing Opal is said to bring loyalty, faithfulness and spontaneity, but may amplify fickleness where the propensity is already present. Opals can be used to send healing to the earth's energy field, repairing depletions and reenergizing and stabilizing the grid. Connect with your inner goddess and feel beautiful! Opal strengthens the will to live. It can aid in treating Parkinson's disease, infections, and fevers as well as strengthen memory. It can purify the blood and kidneys, regulate insulin, ease childbirth, and alleviate PMS. This healing crystal is said to be beneficial to the eyes.